Brain damage causes the deterioration or destruction of brain cells. It can be one of the most catastrophic injuries that a person can suffer on the job. Construction site falls are one way in which brain damage may happen. Serious car accidents may also result in brain injuries. Sometimes, the harm is localized or confined to a small area of the brain, affecting one aspect of the victim’s function. In other cases, brain damage affects most or all of the brain, rendering a person permanently unable to work or enjoy the usual activities of his or her life. The victim may have behavioral, cognitive, and physical disabilities, and he or she may be dependent on others' care for the remainder of his or her life. The Massachusetts workers' compensation law provides a remedy for this loss of function. Although it may be less than what would be obtained through a personal injury lawsuit, it can be helpful to a brain-damaged worker and his or her family. If you or a loved one is seeking benefits for brain damage, you can consult the Boston workers' compensation lawyers at Pulgini & Norton. Part of a workers' compensation package consists of partial or total disability benefits paid on a weekly basis to people whose injuries have limited them in the type or amount of work they can do. Total disability benefits allow a brain-damaged employee to receive 60% of his or her average weekly wage, up to a certain maximum amount, plus periodic increases to offset the increase in cost of living. If a worker is totally disabled for the rest of his or her life, he or she can continue to receive total disability benefits for that entire time period. In addition to disability benefits, a worker who suffers brain damage in a work-related setting may be entitled to damages for the injury itself. Under Section 36, set damages for specific injuries, such as loss of bodily function, loss of vision, or disfigurement, are to be paid. For each loss of bodily function or sense, a judge or reviewing board may determine a proper, equitable compensation that is not more than the average weekly wage on the injury date multiplied by 32. However, the total amount that is paid cannot be more than the state average weekly wage multiplied by 80. If a worker dies before collecting the Section 36 compensation due, however, a lump sum payment should be made to his or her dependents. Under Section 36A of the Massachusetts Workers' Compensation Law, if there are no dependents, the payment is made to the victim’s surviving issue, to parents if there are no surviving issue, or to surviving siblings if there are no parents. If none of these people can receive the compensation, it is supposed to be paid into a special fund held by the state treasurer. If a loss or disfigurement specified under Section 36 is the result of an injury involving brain damage, Section 36A provides that the total payment under that section for the loss arising out of brain damage cannot be more than the average weekly wage in the Commonwealth on the injury date multiplied by 105. These payments are not made if the employee dies within 45 days of being hurt. 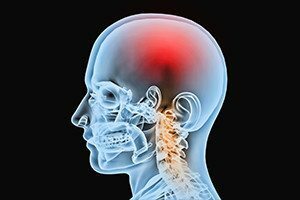 If you or a loved one needs benefits for brain damage, you should consult a workplace accident attorney to make sure you seek the maximum amount of compensation available. At Pulgini & Norton, our Boston workers’ compensation attorneys advise and represent injured employees in Cambridge, Lowell, Hyde Park, and other cities in Massachusetts. Call us at 781-843-2200 or contact us via our online form for a free consultation.